1. My dog! Yes, my sometimes-wonderful pet is a carrier. 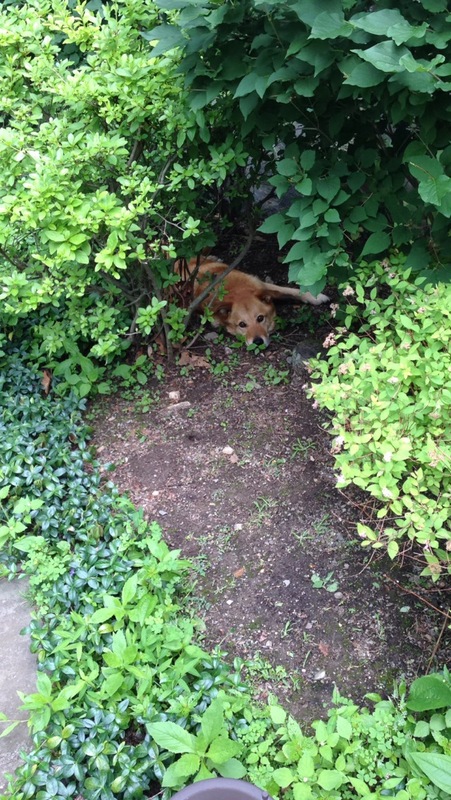 He will never get the rash himself, but poison ivy oil (urushiol) can kling to an animal’s fur for months. The only way to get rid of it is washing the fur in warm water and soap. People have suggested I keep Clorox® wipes or other ready-made fixes available to wipe the dog each time he comes in from outside, but the reality is a) those chemicals are bad for pets and b) they don’t necessarily strip all the urushiol oil. 2. Everything attached to the dog – collars, leashes, balls they chase — the list goes on. Poison ivy oil can remain on inanimate objects for years. Yes! YEARS. The only good news is that warm water and soap or detergent can remove the urushiol oil from objects; it only bonds to human skin. 3. Clothes and shoes! That’s right – if you step back into some poison ivy to dodge oncoming traffic, your shoes will retain the oil until you wash them. You CAN walk some of it off the soles of your shoes, but hopefully not on your rug at home, where highly allergic people like me can get it on the bottom of their feet. 4. Other inanimate objects, such as gardening gloves or tools, a baseball that could have rolled into the bushes at some point, camping equipment, the couch the dog brushed up against, the doorknob I turned with the oil on my hand . . . It is beginning to feel like I need to live in a protective bubble. 1. It is NOT CONTAGIOUS (person to person). You can’t possibly get it from me, even if I shake your hand or you accidentally touch one of the blisters. 2. Once the oil is off my hands, I cannot spread it further, even if I scratch it. The poisonous oils only spread BEFORE they bond to the skin and irritate it. 3. The reason poison ivy looks like it spreads, is that more sensitive skin, and skin that is exposed to a heavier concentration of the oil errupts with the rash before skin that only took a glancing blow, or even tough skin, like your fingers or the palms of your hands react. This is why scrubbing your hands, or the affected area, upon contact, with warm water and soap can help prevent the rash from “spreading”. 3. I only have about10 minutes to wash it off before it starts to bond. Less sensitive people can have from 2 to 4 hours before it bonds, but I have a very short window, and some doubts about plain soap and water really taking the urushiol off. 4. Poison ivy rash can only become systemic if you touch more potent roots or vines, not just the leaves, OR if the more concentrated urushiol penetrates the skin deeper and enters into the lymphatic or blood system. New lesions should not break out after 3 days. If that happens it is systemic. 5. OR it is not systemic, I just keep re-infecting myself! I took the dog’s collar off before I went to bed, and not thinking about it, went to get changed before washing my hands. Within 24 hours the rash bloomed all over my hands and then within a few days later on my arm and shoulders where I taken off my sweater. Today I have a new patch on my knee – because my dog was so happy to see me, he brushed up against them when I came home. In spite of all this, I have found some scrubs that help relieve symptoms, even after the rash starts blooming. 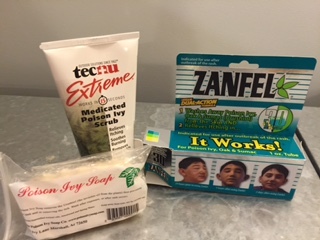 The best (and most expensive) is Zanfel® scrub that has a formula that breaks down the urushiol, with a little help from some granules that exfoliate and deep clean the skin. Tecnu Extreme works really well, on the same principles, and is much cheaper. But since both companies claim that for most people their product stops the itching completely and halts the worsening of the rash, I have been forced to realize that I am not most people. And this poison ivy round, even though it was not systemic, was so bad I was forced to take the hydrocortisone, 12 day steroid treatment again. There is hope for the future: with the help of my sister Cecilia I am exploring some homeopathic remedies that might even lead to a preventative cure! But for now, I am scrubbing my hands to remove the oil when I only think I might have touched something that has the urushiol on it. And I use the brilliantly named The Poison Ivy Soap put out by none other than the Poison Ivy Soap Company. 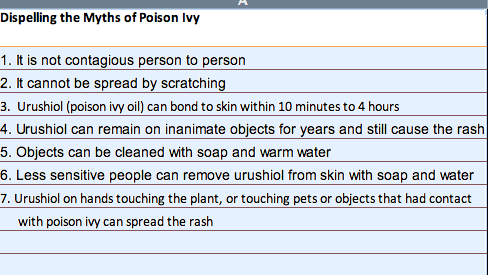 I THINK it has saved me from getting the rash a few times, but since I am now a paranoid poison ivy hypochondriac who starts itching when I see dogs, how can I be sure? July 3, 2015 in Body, Health, Need-to-know. Close encounters with Index Cards! Doesn’t it WORRY you, how much “They” know about you?